Sign installation is where the rubber meets the road. 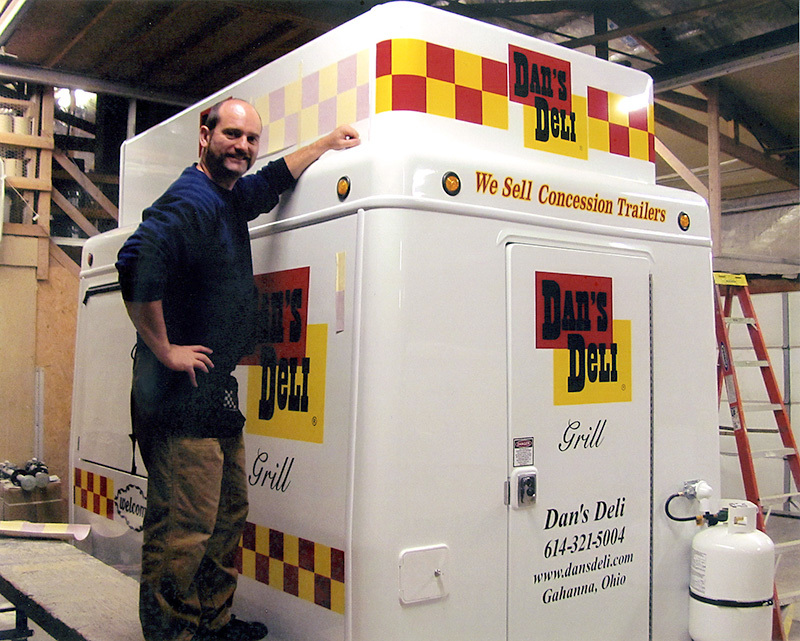 If your business is in Columbus, Ohio, what good is your sign if no one can see it? If design is the beginning of the sign process, installation is the end. 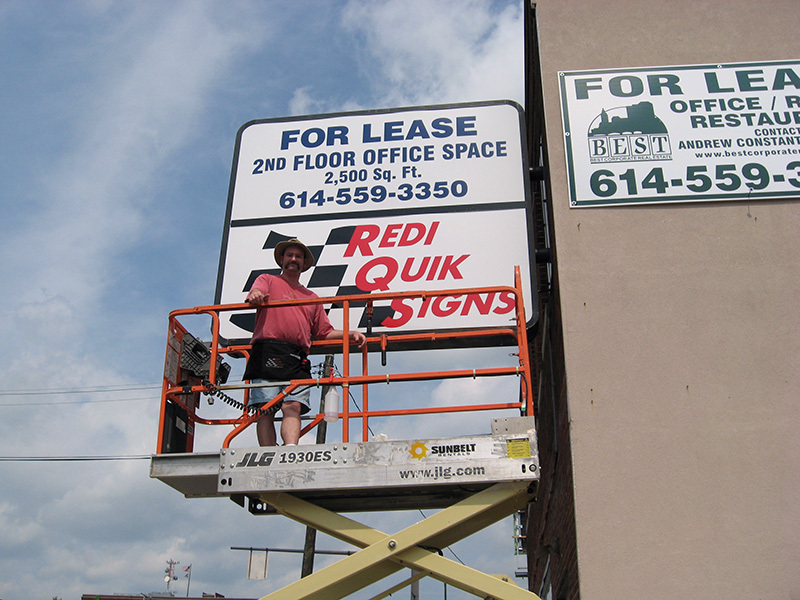 Here at Redi Quik Signs we can install just about everything we make. We dig and drill holes, climb ladders and drive posts. Unfortunately we do not do any electrical wiring or crane work. But putting vinyl on cars and trucks and replacing acrylic panels for back lit signs is right up our alley. 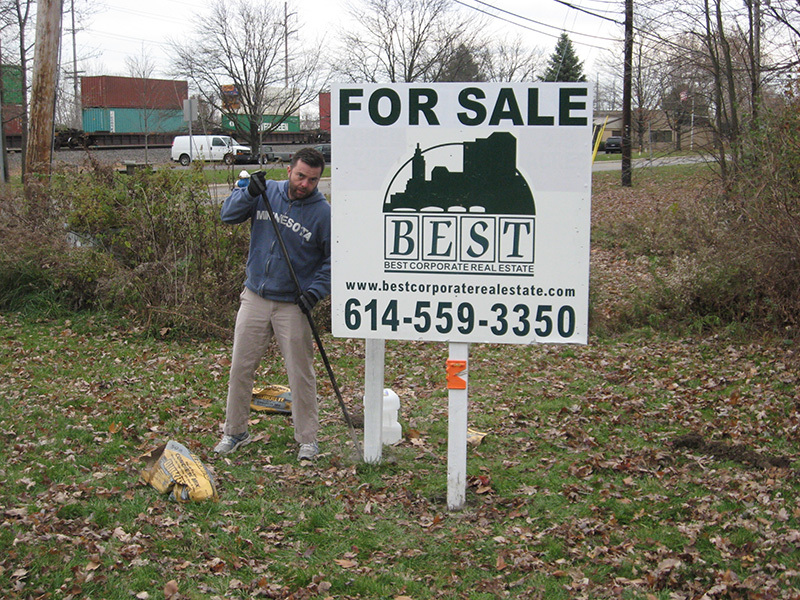 Over the last two decades we have successfully installed hundreds of signs all over the city of Columbus. Driving through town there is hardly a neighborhood that I can’t point to a job we have completed for a customer like you. These projects include interior installations as well. 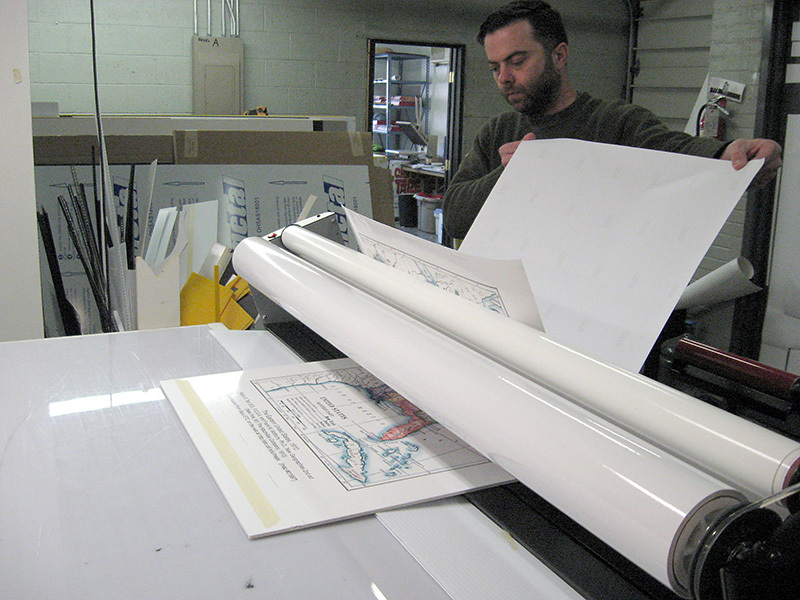 Hanging signs or putting on window vinyl in the office is a major part of what we do at RQS. Our experience allows us to install your sign safely and correctly so you and your business can benefit from it for a long, long time. Our prices are reasonable and if you do have a problem we offer support down the road. If you have permit questions we can answer those as well. Pulling permits is not my favorite thing, but I have done it many times. Most city, county and townships have sign ordinances that must be followed. If you aren’t sure what’s allowed I recommend giving them a call with your property address and they will most likely be able to tell you what you can and can’t do. Prefer to do the sign installation yourself? We can give you a crash course and offer tips and suggestions to make it easy. Below are some links to installation videos (coming soon!) that can also help.